SIR was founded in 1962 by the Ivorian government, with the help of international oil companies. In 1965, SIR refinery started its operations. It initially covered a surface area of 40 hectares, but since its establishment, it has doubled. SIR is considered to be the largest company by turnover in Ivory Coast. It has a geographical location which makes it a strategic hub in relation to its markets, which favors the marketing of its products. The government of Ivory Coast currently owns 47.3% of the company, while Sonangol, the Angolan public company, owns 20%. Equipped with two atmospheric distillation units of 75,000 barrels per day and a hydrocracker of 18,000 barrels per day, SIR now processes 3.8 million tonnes per year, compared with 700,000 tonnes in 1965. It provides a stable and reliable source of oil products to meet the growing energy needs of its population and country. Two stations at sea for cargoes of 80,000 and 250,000 tonnes, respectively, feed the crude oil refinery. As far as shipments are concerned, SIR has 3 jetties for cargoes of 15,000 to 30,000 tons. SIR manufactures butane products for international and domestic use along with unleaded oil for automobiles, diesel for heavy load vehicles and kerosene for lighting. 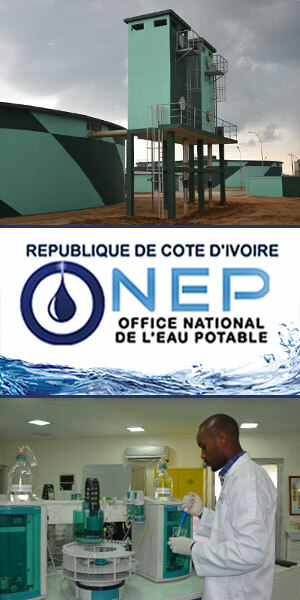 All of SIR's product lines are ISO-9001 certified and the performances from their other facilities have earned the company honorable awards such as COFRAC (French Accreditation Committee) accreditation for the plant's laboratory, an Ivorian Award for Quality, as well as other safety awards. Lately, the company has been in difficulty, plagued by an abysmal debt and facing an unfavorable international context due to the fall in crude oil prices, resulting in a 33.76% fall in its turnover. In January 2017, SIR received a loan of 400 million dollars from a banking pool composed of the local subsidiaries of Ecobank, BOA (Bank of Africa) and Coris Bank. This funding, provided for its oil supply, should relieve the refiner's treasury.